Hi friends, how you all been? Alright, I'm back to blogging again. Hubby already in Cape Town, joined the vessel. We had real blast during his last break, missing him terribly! Brownie recipe adapted from Philadelphia. I've adjusted accordingly to suit our taste buds and added Dulce de Leche as well. 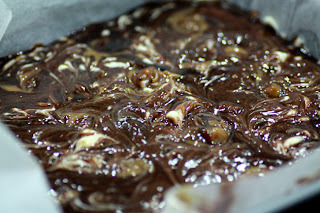 Combine butter, dark chocolate and sugar in a medium saucepan and stir over medium heat until chocolate and butter melt. Remove from heat and allow to coole. Whisk in the eggs. Add flour, cocoa powder and baking powder, stir until well combined. Pour into a greased and lined rectangular tin. Beat cream cheese and caster sugar until smooth and creamy. Spoon cream cheese mixture and dulce de leche randomly on brownie and swirl with the tip of a knife. Bake at 170ºC for 35 minutes or until cooked through. Allow to cool before slicing. Enjoyyyyy!!! Before I make a move, let me share a sweet story meeting one of my blog reader, Cik Maryam in Kuala Lipis, Pahang recently. As you all know, I've not posted any pics of myself in my blog. I just wanted to keep low profile at my best...hihi! We visited my uncle and his family last weekend. Unfortunately Ashika fell sick and feverish when we reached my uncle's place. Might be due to long travel, yeah the road was super jammed all the way from Ampang to Bentong. We took her to a nearby clinic. After seeing the doctor, my Hubby took Ashika to the car while I was waiting to pay the bill. I immediately recognized her when she introduced herself as Maryam. Yeah, she signed my Guestbook long time ago. Well, I do remember all my friends and readers...atleast most of them! Haha.. I saw the joy in Maryam's face when she knew it's me. She infact said it's a small world! Yup, it is very true Maryam! It is indeed a small world. Too bad Rishie didn't come along to the clinic, we left him at my uncle's home. Phew, typed too long today...adioz for now! wow!! i'm drooling now when i look at the brownies..
i think i will recognize your children better than u..haha..
Love to see you back..
Hi Love. Super tempting lah....droooooooling! 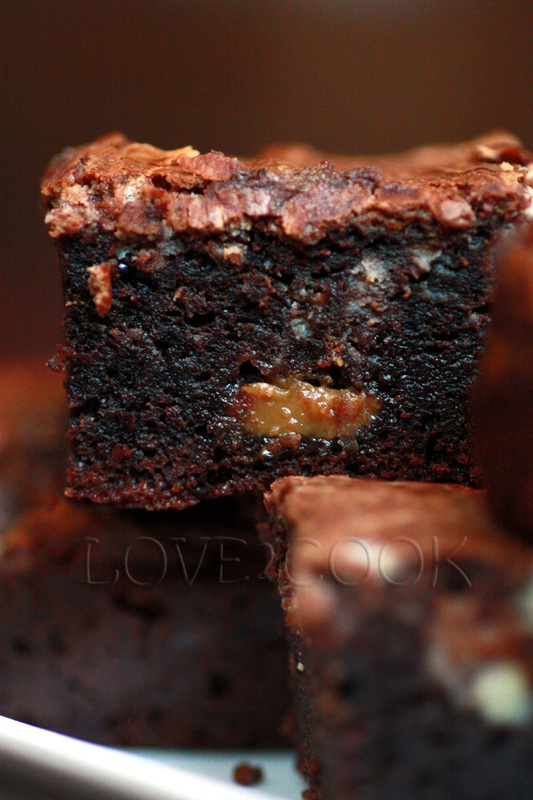 This truly sinful brownies ... looks so delicious! Brownie....looks so yumm and tasty very tempting !!! first time here love your space...Happy to follow you!!! 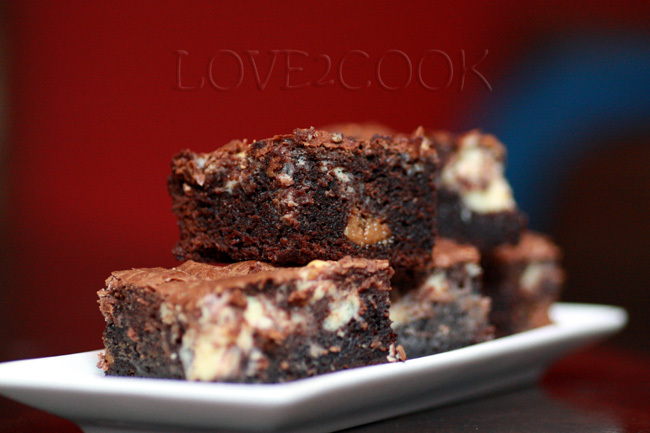 Very addictive and tempting brownies..
Definitely a joyful brownie. Delicious treat!! that a fantastic looking TJB..love it!!! woowwwww.... super duper yummilicious brownies..!!! I have copied this recipe as kids are out playing Holi and I plan to make this as a surprise for them. Nice reading abt your friend Maryam and you meeting up. It’s a small world indeed, internet life has made it even more smaller, by bringing wonderful strangers closer. It’s truly a happy feeling and the joy is definitely reflected in your brownies. 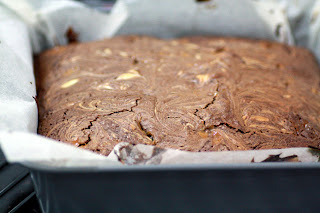 I made these brownies with slight modifications to suit our tastes. I don't think there will any brownies left if I stay in the kitchen any more. Lovely, Tempting and absolutely tasty. Thanks! nak try jugak la bile ada masa.. 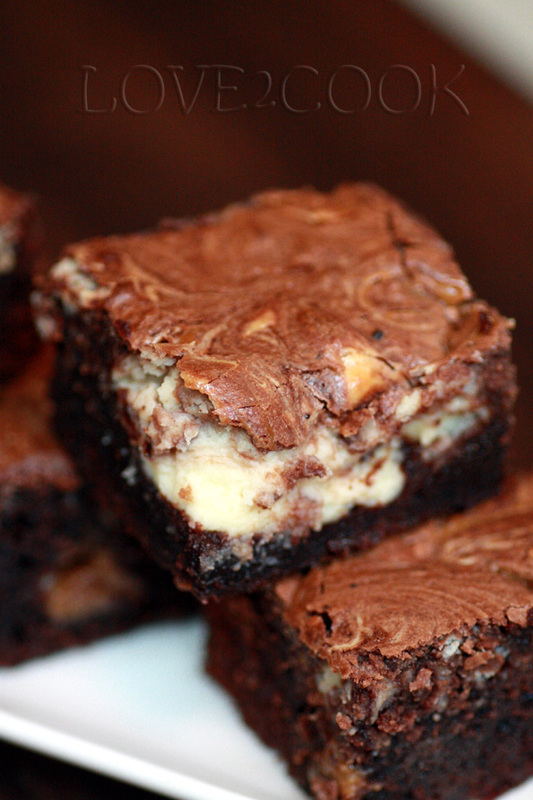 Stunning brownies. 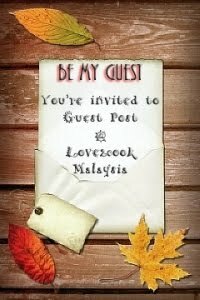 It is nice to meet your readers, I would love to meet each and every one of them. You never fail to take good shots while i'm always fail in doing that!Haha..haiya..your brownies makes me drool even i had a few slices of american chocolate cake juz now..haish! Oh silly me...i forgot to send you my new domain name...i changed it not so long ago..sorry ya Love..jangan marah ok? These look gorgeous, I am drooling! The look of your brownies is 'killing' me! Huhuhu.. Delicious looking brownies! So tempting! Such an amazing small world! Maryam is really sharp at recognizing Ashika! I have never ever seen brownies this beautifully presented. looks awesome!! I am salivating now. 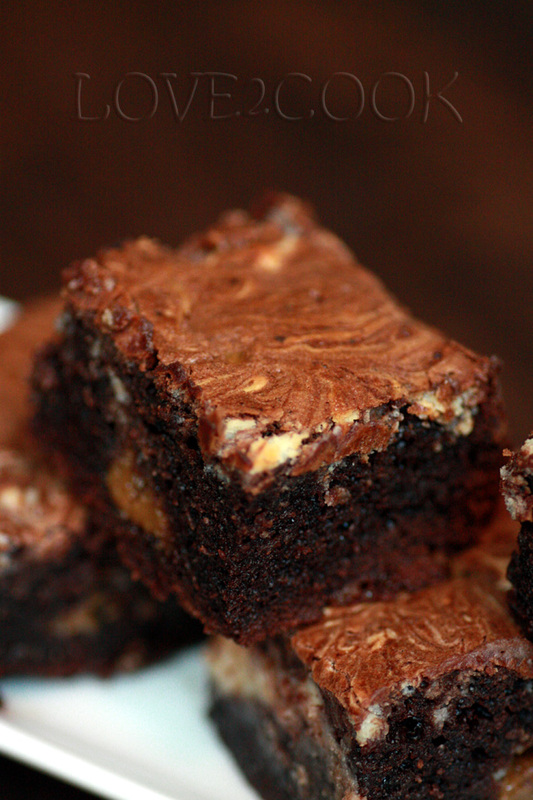 Your brownies look incredibly delicious and I bet they weren't around long! Love...!!!! hebat brownies tu...belum mkn dh tau kehebatannya.Nnti..akak dh start bercuti baking..leh lah try kawan2 punya resepi.Akak dth nk pinjam De Leche tu..ada lagi tak???? he..he...will for ever LOVE U. This brownie looks so lovely!